Our client wanted to make her husbands 60th Birthday special buy adding fun balloons to the side room at Beef O'Brady's in South Lakeland. 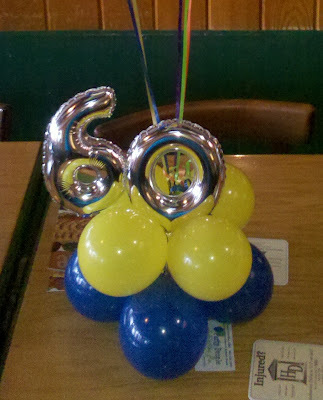 40 inch tall 60 balloon and Candle Columns hilight the Cake table And two fun curl clusters with mini 7 inch 60 balloon at the base. base of cluster can also be made into a centerpiece on it's own. Fun Curl clusters makes any event a celebration! 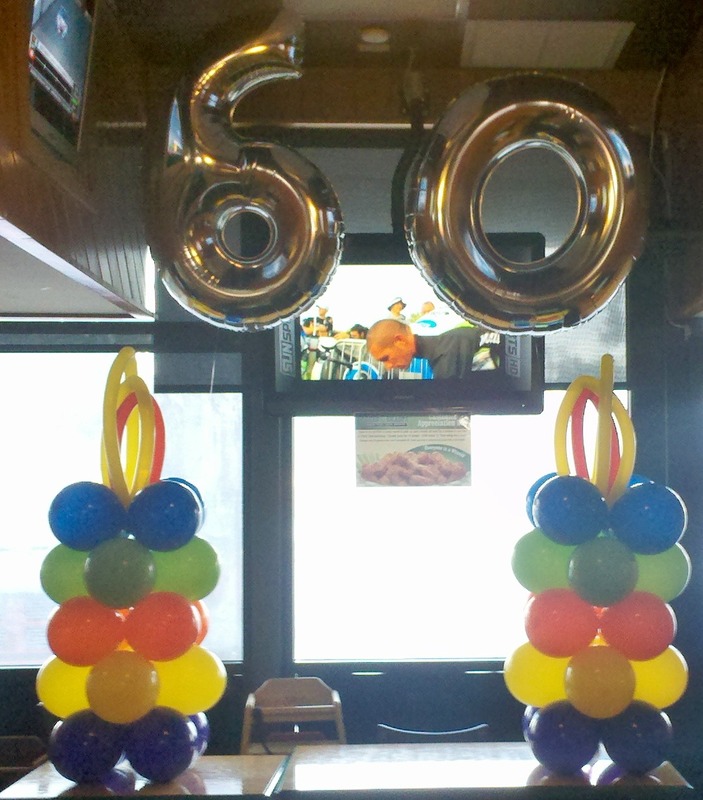 Cake Table Candle columns with 40 inch Jumbo 60. 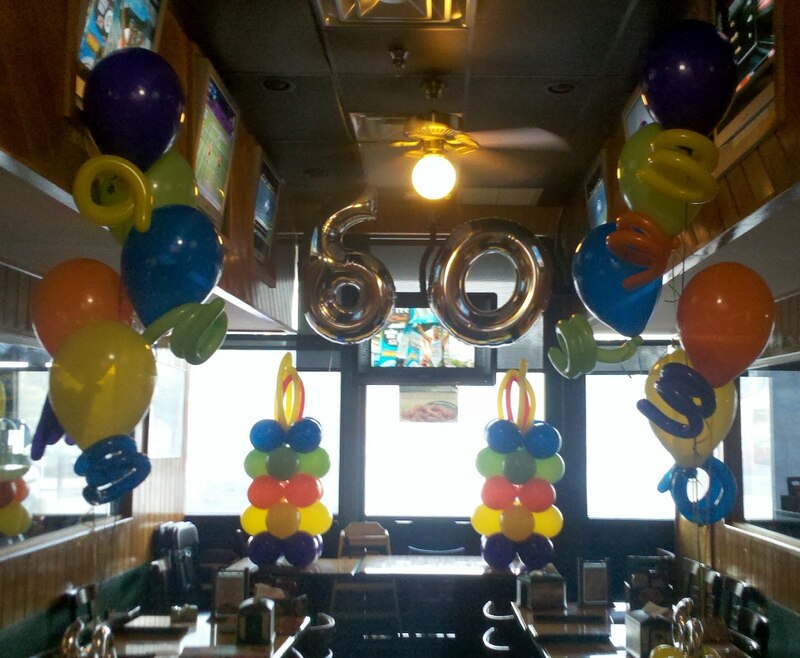 Call 863-255-2025 to have Party People Celebration Company provide custom decor for your event. Based in Lakeland Florida, we deliver throughout Central Florida.